​Chelsea forward Frank Kirby has been forced to withdraw from the England Women squad for upcoming World Cup warm-up friendlies against Canada and Spain as a result of a knee injury, and has been replaced by Manchester City defender Gemma Bonner. 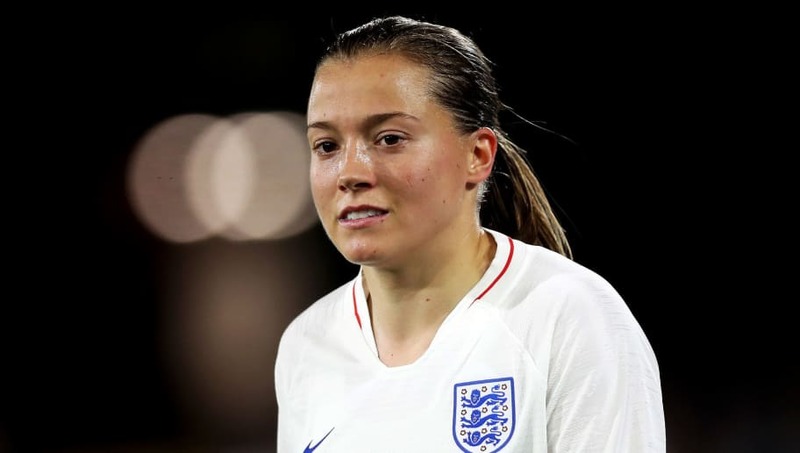 An FA statement explained that Kirby is suffering with 'knee pain which requires careful management', with the decision taken to send the 25-year-old star back to her club and not take any risks given that a major tournament is on the immediate horizon. Kirby featured prominently when England ​launched bespoke women's kits for the first time. Despite being part of the victorious SheBelieves Cup squad, replacement Bonner had initially been left out of the 25-player group for this month's pair of games and will now have a chance to re-stake her claim for a potential place in the final World Cup squad this summer. The game against Canada, two spots below third placed England in the FIFA World Rankings, will be played on Friday 5 April and has sold out Manchester City's Academy Stadium. The follow up clash with Spain, ranked 13th in the world, will be played at Swindon's County Ground. Both games, as well as further pre-World Cup friendlies against Denmark and New Zealand in May and June respectively, will be broadcast live on free-to-air television by the BBC. One of the favourites to win the tournament, England will play their opening World Cup fixture against debutants Scotland on 9 June in Nice. That will be followed by clashes with Argentina, who have lost all six World Cup games they have previously played and have qualified for the first time since 2007, and Japan, who were comfortably beaten by England in March. The tournament takes place between 7 June and 7 July, with every single World Cup game, not just those involving England, to be available via the various BBC Sport platforms.